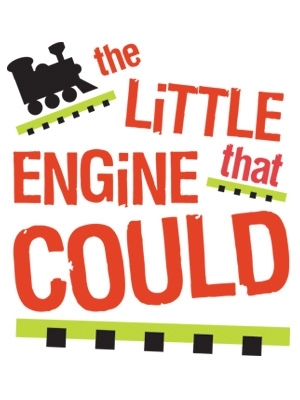 the little engine that could | Get There! Some peopl e see problems, others find solutions. Kate Zajac, a CSTS client, is not a stranger to problems, yet has chosen a different path, one which works to meet others needs. Inspired by a conversation with a friend, who subsequently lost her battle with depression, Zajac began a nonprofit called The Little Engine That Could. ‘Little Engine’, as Zajac often refers to it as, is an organization that strives to meet the recreational needs of children receiving care in hospital psychiatric units. It is no wonder that hospitals, including University of Michigan, are coming to depend on The Little Engine That Could for much needed support. From soliciting a donation from Damon’s for a free meal to delivering holiday treats, Zajac has proven her commitment to making the lives of their patients better. An Activities Director in Boston’s Childrens Hospital of Massachusetts whom Zajac contacted to establish a relationship actually shed tears upon hearing about her desire to donate supplies. Such is the need and appreciation for the work that she is doing. “Kids with physical illnesses, get a lot of support from the community, but kids with mental illnesses are often forgotten. I think that people care, but don’t know how to express it,” says Zajac who plans to expand her operations to ten hospitals by the end of 2013 and to 25 hospitals by 2017.